If I had a nickle for every board game I misjudged or previously disdained, well, I’d probably have a enough to buy a soda. I have discounted numerous games simply because they didn’t meet my expectations regarding what a fun game should look like or how it should play. When I first saw Maharani, I personally couldn’t work up any interest in the game. I received it free for backing the Kickstarter project, Thebes. Maharani looked attractive enough but the theme seemed boring and I feared the game would be overly complicated. Lay tile, move rondel, place workers and score points – yawn! You’re helping the King to complete the Taj Mahal palace by placing beautiful mosaic tiles – who cares? So the game sat on our shelf for months before we played it. What can I say – I was wrong – really wrong – about Maharani. The players try to place mosaic tiles in each quarter of the palace in order to earn as much gold as possible.They earn gold for each mosaic tile and each worker they place. The player with the most gold at the end wins. At the start of a player’s turn, he/she rotates the rondel so that its arrow points towards his/her position marker. Then the player must take one of two possible actions: 1 Place mosaic tiles and workers 2) Refresh action tiles. The player chooses one of the tiles lying on the rondel and places it either without using an action marker on any free space in the same quarter in which the tile is lying OR with the use of an action marker on any free space in any one of the other 3 quarters. 1. Placing beautiful, mosaic tiles: Turns out, this is more fun than it sounds (well, it would just about have to be). The tiles you place have different patterns on them and there is something really compelling about deciding where to place them. I tend to want to have the largest section of one particular design, but there can be strategic advantages to breaking up a pattern. Lining up the tiles, trying to determine the ideal placement is really fun. 2. Simplicity: I was initially intimidated by this game because I thought it was going to be really hard to understand and too complicated to enjoy. While my gaming group initially played the game wrong the first time (there were a couple of fine points that we misinterpreted), we soon discovered our mistake and found that the game is actually pretty straightforward. It is helpful to have someone explain the game and walk you through it (but then again, that is true for any game). It is really straightforward, both adults and children can enjoy. 1. Strategy v Luck : This game has an element of luck in it – you have no control over when or where the different designed tiles will appear (and that can greatly impact a player’s choices and ultimate score). However, the player has a number of options in this game and a solid strategy can win the game. It helps to be able to quickly scan the board, assess the situation, and determine the optimal tile placement in order to score more points. This makes the game very engaging and tends to keep all the players’ focused on what is happening (rather than folks mentally checking out until it is their turn). 1. Player limit – This is a game I want to break out every weekend, but it only supports 2-4 players and we often have 6-8 players over. I thing that the game could be reworked to support a larger group. I am finding that some of my favorite games are the ones I least expected to like. I am still a bit baffled at times how the games that have become my favorites managed to do so. This game is one that, for whatever reason, I can play again and again. This game has opened my eyes and it makes me want to see what other games I have been wrong about! Maharani is a terrific game, with solid game play. It is simple, satisfying, and stimulating – and surprise, it really is fun! Ah, how I wish I could go back and talk to my younger self – the one who scoffed at games simply because a theme wasn’t particularly attractive. Was I really so shallow? Thankfully, I’ve grown over the last year since my husband and I started hosting a weekly game night. I’ve come to see that there’s more to a game than its components and theme. I’ve learned that eurogames can be fun and that a game about laying down train routes can be addictive! My initial impression of Ticket to Ride was that it would be boring and dull. I was wrong, and I can’t put my finger on why I like this game so much. 2. Scale-able goals: You don’t have any control over the routes you draw, but you are able to choose which ones you wish to pursue. So you can set out to really challenge yourself, so just take a few easy routes. Depending upon how the other players do, your selections may or may not be sufficient to gain enough points. Likewise, taking too many routes may mean that you have bitten off more than you can chew and your final score will suffer. 1. Replay Value – This is a game I can play time and again because it is fun; however, at a certain point, it can get a bit samey. There are only so many routes to choose and so many ways to get there. Multiple games can start to feel repetitive (though I understand the 1910 expansion helps mitigate this). 2. Outcome Apparent – I haven’t found it always to be the case, but sometimes it becomes obvious who is going to win a game and who doesn’t stand a chance. And a player who realizes victory is lost may lose interest in the game as it goes on (i.e., why bother anymore now that my route from LA to Miami is completely blocked off or requires more train cars than I have remaining). I love this game, it is well worth the price – and train placing is weirdly fun..
1. Theme: While the theme is not super exciting or flashy, it holds together very well. It is easy to imagine you are trying to develop your settlements. The robber coming to steal your stuff seems like a legitimate concern or issue settlers would face. 2. Simplicity: The game is easy to learn and easy to play. It is so straightforward, this is one that both adults and children can enjoy and get into. 1. The Robber! – He’s a jerk, and if he pops up a lot in a particular game, it can get old. House rules may go a long way for dealing with him. Besides the robber, dice rolls can go poorly for a particular player who may lose interest in the game as it goes on. 2. The basic components- Don’t get me wrong, everything is quality made in this game – I just like a bit more pizzazz in my gaming. As a result, my husband and I bought the 10 Year Anniversary version of the game, which replaces the wooden representations of towns and cities with upgraded plastic towns and cities. We also found a 3-D printed version of the game board with realistic landscape. I love this game. I was so wrong about it and I now see the light. Trading sheep for bricks is the best! When I was growing up, we played board games in my family; but they were limited to mainly word games and trivia and I'd never heard of Talisman. I hadn’t really been exposed to a wide variety of board games, so when my husband purchased a used copy of an earlier edition of Talisman off of eBay earlier this year, I was excited to check it out. 1. Theme/Art: The fantastical world of magic and monsters comes alive with the beautiful artwork on the board and on the different cards. The components are all well made. The gold coins actually jingle like coins actual coins might! The cards are pretty sturdy . We’ve swapped out our die-cut playing piece cards for miniatures we already had on hand, but folks who buy the revised 4th edition will receive miniatures with the game. 1. The Lack of Strategy – This is really the only issue I have with the game. Other reviewers have made several points about this and they are valid. As much as I enjoy the beauty of this game, as much as I am drawn into the world created here, I feel like so much can come down to the roll of the dice. It can get very frustrating and can make the game start to drag on as you loop around again trying to get the right card or the right roll. So for me, I really do enjoy playing this game, and I always look forward to playing it. However, I do recognize that it can have a pretty substantial downside to it, so it may be necessary to implement house rules at times to help address some of the randomness. Don’t throw the baby out with the bathwater as this is a really fun game -one which will delight you when you’ve finally claimed that Crown of Command! 1. Theme: The monsters-attacking-Tokyo theme is pretty fun and enjoyable and it is carried out nicely throughout the game. From the dice (a creature claw for attacking and a heart for healing as possible outcomes) to the monster cardboard cutouts to the Tokyo burning tiny game board, to the awesome powers you can purchase with your (adorable) energy cubes… The theme in King of Tokyo is well executed. Furthermore, the expansions available for the game add subsequent powers and enhance the theme further (but we’ll save that for a future review). 3. Fun: I really dig the overall approach of the game. There is certainly a Yahtzee quality, where you are rolling dice to get the best results. Multiple numbers will give you victory points, energy will let you collect these uber-tiny green cubes that allow you to buy cards with special abilities, claws allow you to hit the other monsters, and hearts let you heal (as long as you aren’t in Tokyo). The theme of the game makes this more than just a straightforward game of Yahtzee where you are trying to get the best role. This game is easy to play and so much fun that I’m always willing to bring it to the table. 1. 2-Player Dynamic- This to me is where I feel like the game can get a bit old. I play two player games more often than anything else and with this game, there is a bit of a disadvantage when you don’t have other monsters to direct your attacks to – your opponent never changes. Perhaps managing multiple monsters would improve the game play, but I have yet to try that. 2. The board design – While I like that the board was kept small for this game, it seems odd to me that there isn’t room for the monsters who aren’t in Tokyo to stand. Tokyo Bay, the section outside of Tokyo, is actually only intended to be used when there are 5-6 players, but I think there should really be more of an area on the board for the monsters that haven’t entered the city to be residing. We find this game to be very enjoyable and it is now a regular at our table. This is a fun little game that we play whenever we want a monster-beating, city-crushing, energy-absorbing good time! ZOMBIES!!! has about a dozen expansions as well as Humans! and Martians! spin-offs. In fact, as of the writing of this review, Twilight Creations has a Kickstarter in the works to produce a new expansion (Zombies!!! 13). We’ve added a number of the available expansions to our collection in the Moore household and use a select subset of the rules and cards. Hurray for the Helipad!!! – Some zombie-themed games on the market know seem to be a trial to find out who can last the longest. If there is a winner, it was only because they were the last to die. While this can be very intense and dramatic, it is also a bit depressing when there is no getting out alive. I enjoy the fact that the goal of ZOMBIES!!! is to get to the Helipad tile, or safety. The value of the game is appropriate for the cost. For about 20-30 bucks, you can get a fun game with 106 plastic miniatures. I wouldn’t complain if the cardboard life tokens and bullet tokens were replaced with plastic or resin tokens, or if the map tiles were made out of heavier card stock, but given the price of the game, everything is pretty well fair. The rulebook is very clear, short, and simple. Just like the game itself, it is pretty straightforward. I didn’t have an appropriate appreciation for this when we first got the game, but after having gone through the Zpocalypse rulebook, I can definitely applaud ZOMBIES!!! for providing such a basic and easily understood rulebook. The bumpable, shifting, creeping map tiles!!! – The map tiles are fairly thin and end up getting bumped and shifted with the slightest provocation as we play. This is very frustrating. When we play this game, we have a sheet of construction paper with ***** to hold the corners of the cards and thus, the cards, in place. Heavier or interlocking tiles might mitigate this “shifting” problem. Can be too simplistic – While the event cards are fun and I dig the miniatures, ultimately, the game can get a bit boring. So much of the game is just rolling the dice. Roll the dice to move your pawn. Roll the dice to fight the zombies. Overall, it is an enjoyable game, but there are better ones out there. However, for the price, it is definitely a worthwhile investment and a game that will make its way out on the table time and time again. So let me start by saying that Buffalo is actually a cute little party game good for a fairly wide audience. It is simple and straightforward, while providing a wonderful opportunity for folks to come together and try to see who can come up the quickest exemplar of a skinny comedian or a grumpy puppet (for instance). (And who hasn’t been looking for such an opportunity?) The game consists of two stacks of cards (over 400 total) and a rulebook. Make that rulepage. The rules are very simple as is the game itself. I can’t overstate this enough: It is a simple and a cute game that can be a lot of fun with the right group. If your group is very diverse, there may not be a lot of familiarity with the references made, which could prove entertaining or informative for players, or it could result in folks just losing interest. The card backs have a cute buffalo on them, and the cards themselves are uncluttered and basic. There’s a buffalo card in the deck as some folks have mentioned, where if he turns up, you can collect all the cards with a match. I don’t know that the buffalo card adds a ton of value, but it can change the tide in a game. There’s no real setup involved and the game can go for as little or as long as the players want! The replay value with this game is huge due to the number of cards and card combinations. All in all, Buffalo undeniably has its charm and is an enjoyable party game; however, for me, some serious house rule modifications will need to be worked in before it is the kind of game I’ll want to bust out on a regular basis. My husband and I love the zombie theme – it is a bit of an obsession in the Moore household. And we both love gaming, so imagine my delight when I stumbled upon this treasure at our FLGS. The game states its objective as, “You have been overrun by multiple outbreaks of Moaning Virus 1 (MV1) and the outlook is bleak. You must retro-fit your largely symbolic military quickly to turn back the tide of rotting corpses. At the same time, you must optimize your quickly dwindling resources to fund crucial medical and scientific breakthroughs to save your civilians…” Woo hoo – I know how I’m spending my afternoon – saving the planet from MV1! As soon as we got home, we opened the box, unpacked all the bits and boards – you do get quite a lot with this game – and after reading over the instructions, we started playing (or attempted to anyway). The sparkle quickly faded from our eyes as we realized this game where zombies are taking over the world just wasn’t going to be as fun as we’d thought it would be. 1. You do get a lot in the game – lots of counters, adorable military units (representing tanks), freedom point pawns, technology counters, technology sheets, a leader card, technology sheets, mutation markers, resource cards (food, oil, ore – that sort of thing), resource counters, lots o’ dice, a large game board, and zombie tokens. So you are getting a lot of stuff in the box. 2. It had intentions of being a zombie game, so I do want to give it points for that. I really like the concept of it – the scope of doing a large-scale zombie disaster recovery game. Trying to manage resources and fight against this tide of the dead is such an awesome concept. And the board even makes sense – the way it is set up as a giant map of the Earth, with borders indicated. 1.WHERE ARE THE ZOMBIES? For a zombie-themed game, it seemed like this game could have been about anything else. I tended to forget at times that these were zombies attacking instead of an outbreak of polio or bird flu or giant hamsters attacking and overrunning villages. Yes, there were zombie tokens, but they were tiny, and could have just been guys with some flesh-eating bacteria problem or maybe severe acne. The zombie theme just fell flat as this was ultimately about resource management. 2. The game became very complicated to play. To be fair, I haven’t played similar games before (I saw it compared to Pandemic and Settlers of Catan), so it could be my lack of familiarity with the experience made me predisposed to resist it. Regardless, there were lots of phases to go through, complex rules, different actions on the board, different tiers to go through. 3. For me, I really would have liked the game to have come with miniatures to paint, rather than so many little cardboard tokens. That would have helped with the theme of zombies, and helped enhance the quality of the game. Having the little plastic tanks were nice, so having other resources made out of plastic would have really been an improvement. 4. The movement on the board seemed a bit lacking – it felt like a game of Risk to me, which I’ve never really gotten into. All-in-all, it felt like work, like a challenge – and without a clear zombie theme it wasn’t worth it. Game after game was played in attempt to love this game – and with each game, it became clear that it just wasn’t for us. At the start of the game, you will be dealt a few characters to choose from. Instead of picking the cutest figure (like I did), take some time to review the character’s special abilities. All abilities are not created equal, and you may find an advantage in a particular ability. Once you have your character, be sure to seek out destinations that reward you with a bonus.Happy traveling! I love this game, but it doesn’t always get to the table during our weekly game night. So my husband and I found a two-player variant that allows us to play this game anytime. What we do is play two characters but we are not able to trade with the players we manage – only each other’s characters. This keeps the game fun, balanced, and challenging! Each player controls a team of ninjas attempting to secure their dōjō and cross into the opponent’s dōjō to earn points. You win one of two ways: earn seven points or eliminate all of the opponent’s ninjas. To add some complexity to the game, why not try a variant where you can only win by eliminating all of the opponent’s ninjas? Remove the shadow ninja and the ninja master from the game and focus solely on collecting your opponent’s ninjas. As long as you don’t need the shadow ninja and the ninja master, try adding them to the board as captives who need to be rescued, or as an additional part of your team to fight with! To provide additional motivation for your ninjas, add coins to the three center spaces in the back row of the dōjō. If your ninjas collect them and returns them to his dōjō, either add them to the score tracker (i.e., advance your ninja master one space) or use them to successfully retrieve one captive ninja as though he’s been held for ransom. Besides adding incentive for the ninjas, this may extend the length of game by bringing captured ninjas back in play. After playing a couple of games where one player had the misfortune of encountering the “Cursed by a Hag” event Adventure Card, we found the curse to be far to difficult to escape. When you get this card you are instructed to take her as a follower and all other followers (except the poltergeist) must be immediately discarded. 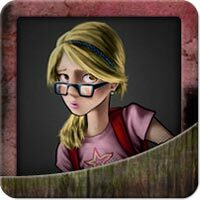 You may have no other followers until your rid yourself of the Hag by visiting the Village Mystic. The rest of the game was spent trying to land on the Village to remove the curse. This became such an annoyance due to poor rolls that we came up with a House Rule that one could remove the Hag’s curse after three turns by either handing over a Talisman, a counter-spell spell card, or if the character’s craft was at least a 4 or higher. This would enable the cursed player to discard the hag and get back to enjoying the game. The dynamic in the two player game is a bit different in King of Tokyo because all of the battle is directed to the same opponents. At no point is there any down time when a battle is occurring between different players. You are either defending your position in Tokyo or you are attacking your rival. In a two-player game, it is important to get in Tokyo early and fight to keep it. While you are likely to get beaten up and lose a great deal of health, you will rack up the points. The moment you give up your advantage to go and heal, is when you are likely to lose the game. Some games, especially new or upcoming games, may not have very many user reviews. So it is important to remember that if an explorable game for the week doesn’t have enough reviews for a user to complete the quest, that there are other steps to complete the exploration. Don’t forget that one tip can be rated to count toward exploration. Following and playing a game both count as steps toward exploration, so these can take the place of a review if needed. If you are already following the maximum amount of games, you may want to stop following a game, so you can follow this game you are exploring. (Once the game has been explored, you can stop following the game.) If you have played the game before or if you own the game, be sure to log your experience. Boardgaming.com indicates that you are on the honor system for this step, but that is true for most of the steps. Feeling queasy at the thought of gluing all of those miniatures? If the phrase, “some assembly required” has had you avoiding purchasing the Super Dungeon Explore game, you should consider checking out eBay for used copies of the game. While my husband has been assembling miniatures since he was in high school, I personally don’t have the same level of skills, desire, or the patience required to sit through such a task. (Just thinking about it makes me want to run screaming for the hills!) However, when we decided to pick up the game, we wanted to get it cheap, so we looked online to find a gently used copy. We found one that had been assembled, but not painted. We were very pleased with the copy and delighted to be able to get started right away painting our figures and start exploring! Essentially, the game functions the same, with one major change: success or failure rests on the group, and if one player dies and re-spawns back in the town hall, it is up to the rest of the players to help him reach the helipad with the rest of the survivors. Once any one player dies twice, the game is over and the mission failed. The mission is a success once all players have reached the helipad, or once all players have killed 25 zombies. In Ninja Versus Ninja, once a ninja leaves his dōjō, he is on a mission. That ninja has three turns to complete this mission (i.e., return to his dōjō) or he will be captured. Since the clock is ticking for the ninja once he leaves the relative safety of his own dōjō, try not to leave your own dōjō unless your ninja can reach his opponent’s dōjō on the first turn. That way, one entire turn is not wasted attempting to get through neutral territory. This game could be played in a format similar to Scattergories, a game I spent many a holiday playing with my family. (If you aren’t familiar with this game, check out this Dice Tower Review with Game Boy Geek on YouTube. For Buffalo, the game can be easily modified to be played in this manner. However, some additional equipment is required: pens/pencils and pads of paper for all the players, and an egg timer (or stopwatch or timer on your phone, iPad, or whatever – so long as it has a timing device with an alarm – bonus if you actually own Scattergories and you still have the timer from that). Reveal 10 combinations, set your timer for three minutes (or whatever you prefer), and players must try to write down corresponding people to the combinations revealed. Using the Scattergories format, when the timer goes off, players compare their answers to see who came up with the most names to fit the combinations. And like Scattergories, only unique answers get points, so if two people chose Elvis Presley for dead singer, neither of them receive a point. If there is a dispute over a person, the group votes to determine whether a point should be awarded. Complete two more rounds just like the first and at the end of all rounds, tally up the results to determine the winner. Playing with this variation to the game allows folks who want a little more time to think to have it. Additionally, it provides the group more interaction and discussion over the different combinations, regarding what folks came up with during each round. It may slow the game down a little, but it takes it from a knee-jerk reaction game to a pondering and thinking game. Mix it up – play it both ways and see what you think of the results! In the game Buffalo, the rules state that no one person or character can be named more than once per game. So while it is important to shout out names quickly, it can be helpful to think of obscure people – real or fictional – who would likely not need to be used again. Once a character is named during the game for a match (science fiction character / male = The Doctor), it can’t be used again, no matter how fitting it might be (time traveler / alien = The Doctor). With Mice and Mystics (or any game that involves reading a lot of story chapters) you may find it helpful to read and record those story chapters as a mp3 file. That way, for subsequent game plays, it is simply a matter of pushing Play. So – do you nominate the gamer with the best speaking voice (and who will likely get into it the most, giving the different characters unique voices) – or do you alternate readers? The choice is yours. And for families with children, it may be quite a treasure to have a recording of them reading from their favorite game to look back on in years to come. For those who don’t wish to make their own recordings and don’t mind shelling out some cash, one can purchase 53 downloadable mp3 recordings of the Mice and Mystics Sorrow and Remembrance Story Moments from the Mice and Mystics website. Recently picked up a used copy of Battlestar Galactica and played it this weekend. Had a great time, even though the cylons won! Also got in a game of Settlers of Catan. Spent the weekend painting miniatures for games and also working on turning the basement into a game room, so I didn’t get any actual playing in; however I am looking forward playing games in this renovated space. Hmm… Really liking the artwork on Artifacts Inc., but the game just doesn’t look like its for me. I really wanted to be sold on Rum & Bones, but for some reason, I’m just not feeling it. I guess this month, I can save my money for other things – like buying Christmas presents for the family. 🙂 Maybe next month I’ll be back to pledging on Kickstarter. Happy holidays all! Great work and nice article! I appreciate the added work that must go into using this approach, but I think it is well worth it. I also like the format used – in that after the article, all the games are neatly listed out so folks don’t have to hunt through the article to find all the games. Again, nice job! As for what I would like to see in a future Featured Game Update article, that would have to be solid 2-player games. I’m always on the lookout for fun games that don’t break down when it is just two players. Thanks! I think we’re going to play some SDE, Smash Up, and Mice & Mystics. Maybe this evening, we might throw in some Forbidden Island and some Dark, Darker, Darkest. Planning on playing some Super Dungeon Explore, Ninjas vs. Ninjas, and Last Night on Earth. Will also be painting some Rivet Wars miniatures as well as miniatures from Mice & Mystics. I’ve been doing more painting than playing this weekend, actually! I’m painting miniatures for Descent and after that, I’ll hit the Mice and Mystics miniatures. I wish I had found Budgie’s comment at the bottom of the page when it was initially posted! Guess I missed the discount of $39.95 as Dead of Winter pre-orders are now listed at $59.95. 🙁 Looks like a fun game, though. I assume I will eventually have to add this one to my collection! We just picked up a copy of Descent last week on eBay and I spent most of the weekend painting the miniatures. The minis were in excellent condition and I’ll be thrilled when I’m all done painting them. My husband and I love playing games involving miniatures (we both love to paint), but lately, we've been on a kick where we have been playing mostly games with a traitor element. We've been hosting a weekly game night for about 3 years now. look for games that support upwards of 8 players. We enjoy a variety of games and are trying any new game we can get our hands on! I tend to be a sucker for anything cute, and I can quickly get taken by the theme of a game. This site has turned me on to a number of great games that I've added to my collection.